currently focused on art. We are the market leaders in accessible art in Greater China. YellowKorner is the global leader in art photography with a network of 100 galleries around the world. YellowKorner pioneers in offering numbered limited edition art photography, and actively promotes talent that is discovered across a wide range of trends and traditions. Carré d’Artistes has the world’s largest network of painting & sculpture galleries, with 40 standalone galleries in 12 countries on 3 continents. 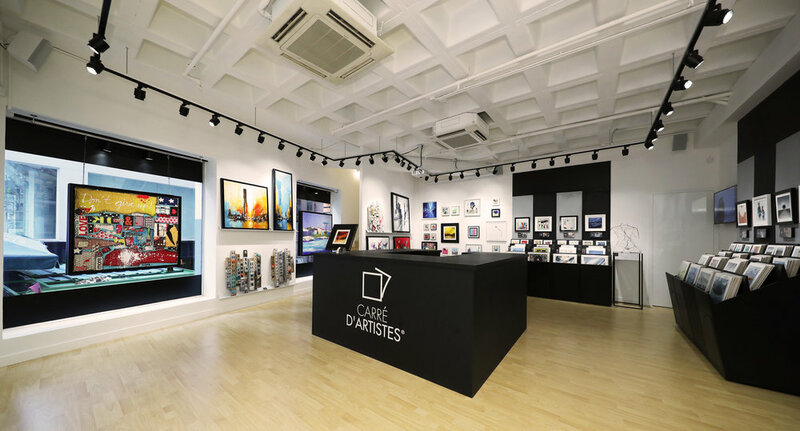 Carre d’artistes represents over 600 artists, each of whom creates unique, original pieces for the galleries, bringing artists and art-lovers together across the globe. Meural has combined the best of art, technology and design in its pioneering hardware product, Meural Canvas, and art library my.meural. Together, Meural brings thousands of artworks from museum collections with international emerging artists directly into your home, in spectacular high definition. The Meural plug and play canvas has opened up new worlds of art on thousands of walls, and is creating a future where each of us can be a patron of the arts. ArtQube offers a one-stop service to source artworks for corporate projects and spaces. Our ArtQube team creates art programs tailored to the needs of our clients, bringing spectacular works of art into workplaces, homes and hotels.